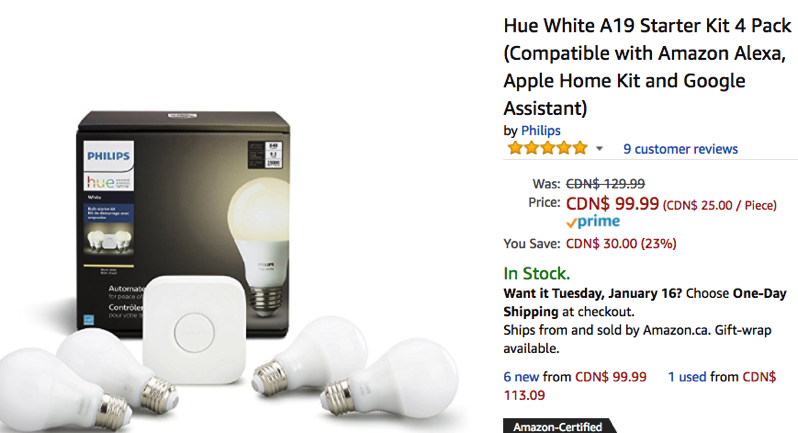 Amazon.ca has Philips Hue starter packs on sale, with these smart bulbs allowing you to control them via Apple’s HomeKit, Amazon Alexa and Google Assistant. The Hue White A19 Start Kit with 4 bulbs is available for $99.99 CAD at 23% off, saving you $30. The kit includes a Philips Hue Bridge, to let you control lights remotely when you’re not home. This is only $5 off the lowest price over on Amazon.ca. The other sale is the Hue Ambiance A19 Starter Kit with 4 bulbs and Bridge, available for 21% off at $149.99, saving you $40. These bulbs offer you up to 50,000 shades of white. Again, these Hue bulbs can be controlled with Siri thanks to HomeKit support, while you will also be able to set scheduling and more. 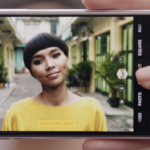 During CES, Philips recently announced a new Hue Sync app is coming for Mac and PC, while their iOS app is set to launch a complete redesign.